Programming note: Anthony Bourdain's CNN Film “Jeremiah Tower: The Last Magnificent” airs Sunday, November 12, at 9 p.m. ET. 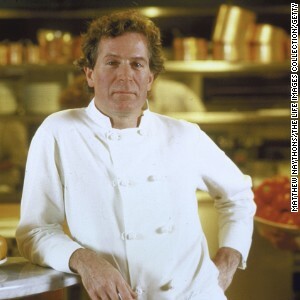 Jeremiah Tower pictured in his San Francisco restaurant Stars, which he opened after his game-changing stint at Chez Panisse. In the early 1970s, Alice Waters -- the fairy godmother of garden-grown, sustainably delicious fine dining -- did two things that would help change America’s relationship with food. First, she opened Chez Panisse, her massively influential bistro in Berkeley, California. Then, she hired Jeremiah Tower -- an untrained gastronomic prodigy who would go on to redefine the American restaurant and revolutionize American cuisine. In the fall of 1976, this creative (and legendarily combustible) relationship delivered a dinner so game-changing we’re still dining off its impact today. Crafted by Tower, it was called the “Northern California Regional Dinner,” and celebrated all things local, fresh and seasonal. 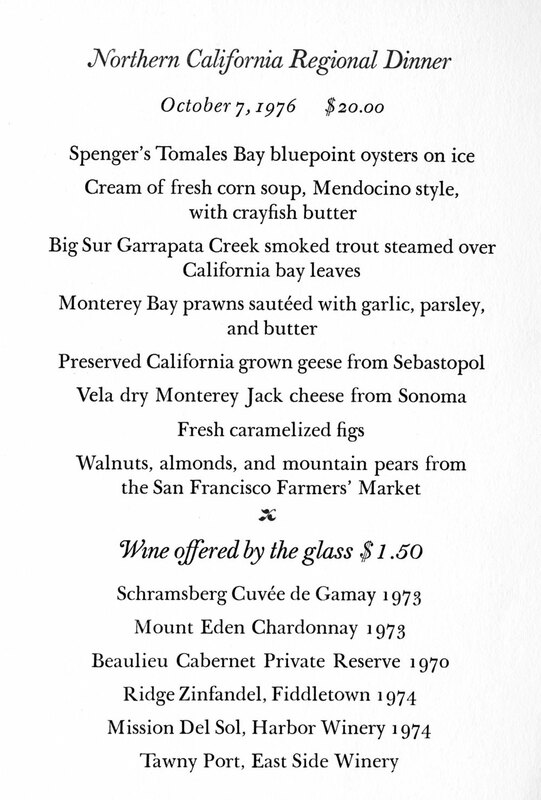 And if there’s ever a menu that screams “American product, f* yeah,” it’s Tower’s 1976 creation. Below, satisfy your appetite for food history with an annotated guide to the meal that “lit the match” on America’s modern food revolution. 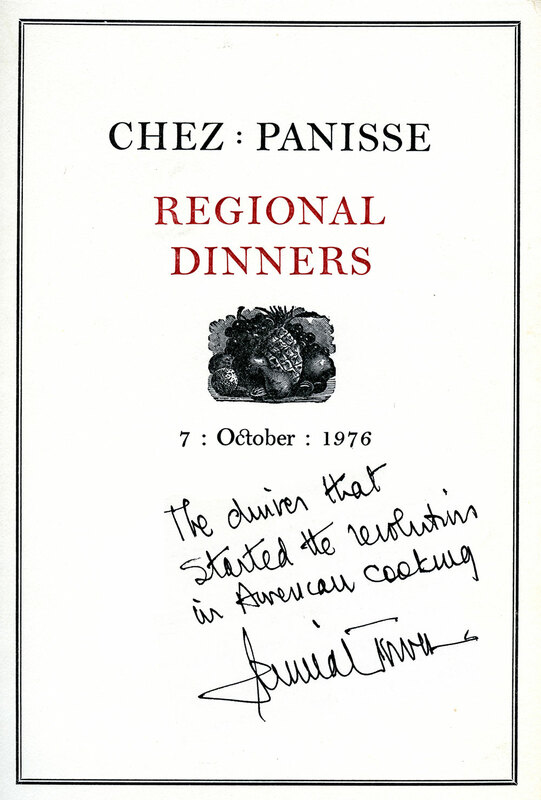 While prior menus for Chez Panisse had been written in French, for this meal -- and for the first time -- Tower switched to English. Instead of the French “confit” here, the California grown geese are “preserved.” “My menu, in English, was a celebration of our new sense of place, of where we lived and ate,” Tower says in his memoir. If elements of the menu sound familiar, the Wine Spectator wrote in 2001, “It’s because a culinary movement that began in California in the 1970s so succeeded that its principles completely dominate the way we eat today.” Notably, all of the wine that accompanied the meal was also from California -- the first time the restaurant had focused solely on local vino.